If you have been injured as a result of someone else’s actions, you need to consider hiring an attorney. While not every instance of injury will lead to a lawsuit, an experienced personal injury attorney can evaluate your situation, discuss your options, and help you decide the best path. In a car, truck, boat or motorcycle wreck — even injuries that don’t seem at first to be major can turn in to a bigger medical problem than you originally expected. At a public place such as a shopping mall — for example, a broken escalator can cause serious foot damage. During a medical procedure — such as if the surgeon removed the wrong organ or left instruments inside your body after surgery. 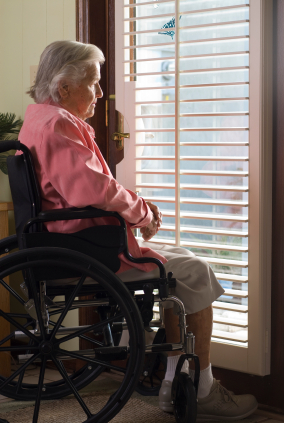 In an assisted living facility — unfortunately, neglect and abuse happen to elderly people and those with diminished mental capabilities; people who are unable to protect themselves rely on friends and family to monitor their care. Due to a defective product — as a consumer, you have a right to purchase products which are not harmful to you or your family. Because of a vicious dog bite — the dog’s owner is supposed to keep the animal’s behavior under control but other people such as landlords may also shoulder some responsibility; if you have been attacked by a pit bull, Rottweiler, German Sheppard, Doberman pinscher, Akita, wolf-dog hybrid or other animal, you need to talk to a dog bite attorney to see what your rights are. By the failure of an insurance company to meet their contractual requirements — known as “bad faith,” this refers to when an insurance company does not honor its policy. Because your child has been abused in a day care setting — this can be a school-sponsored after-class program, a church-sponsored mothers’ day out group, a scouting or community service-oriented. Due to a defective medical device — heart pacemakers and defibrillators, hip and knee joint replacement devices, coronary stents and other medical devices can improve your quality of life if the device is manufactured and installed properly. Do I Have To Hire Carr and Carr if I Meet With You? Absolutely not. Most personal injury lawyers do not charge for their initial meeting with you and Carr & Carr Attorneys is no different. What If I Have Already Started Talking With An Insurance Company? Insurance companies are in the business of making money, and one way they do that is by not paying every claim at the maximum amount, of course. A personal injury attorney working for you can help obtain a favorable settlement and very likely it will be much greater than what you would be able to receive on your own. After all, a personal injury lawyer’s job is to work for their clients’ best interest. If you are injured, your job should be to get better, not to hassle with insurance companies and paperwork. Carr & Carr works on a “contingency fee” basis. This means that if the attorney wins the case – whether it is settled or goes to trial – we earn a percentage of the money as our fee. On the other hand, if we are unsuccessful for whatever reason, you pay us nothing. If you’d like to talk with lawyer to see if your situation warrants hiring an attorney, email us or call 1-877-392-4878. Our personal injury attorneys have offices in Tulsa and Oklahoma City, and we can also arrange to meet you at another location convenient to you.